Are you looking for an affordable root canal treatment? Do you want a root canal specialist who knows exactly what they’re doing and can get the job done properly? Fortunately, the team at V Care Dental can provide dental root canal treatment that involves removing the pulp, helping to prevent an abscess from forming and causing further damage. 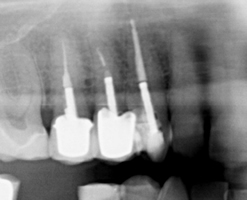 V Care Dental is fully capable of providing endodontic procedures. This means we can thoroughly study, assess and treat the dental pulp of our patients. 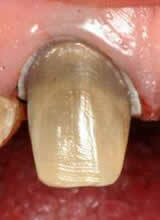 This innermost part of the tooth can decay over time, becoming infected and requiring attention. 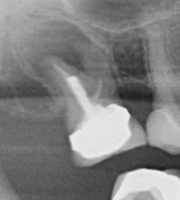 Our root canal dentist has the knowledge and equipment to repair the damage. Without this repair, the health of the tooth will continue to deteriorate and may require complete removal. Dental root canal treatment might be necessary in the unfortunate event that your dental pulp has been damaged by physical trauma or gum disease that causes the gum to detach from the tooth. Damage can also be caused by cavities and other forms of decay that affect the tooth enamel, dentine and pulp chamber. These need to be addressed sooner rather than later to avoid further damage, some forms of which can be irreversible. There are several symptoms that may indicate the presence of dental pulp damage and signal the need for dental root canal treatment. The amount of pain and discomfort you experience due to damaged dental pulp can range in severity from a constant dull ache to sharp pain that radiates while biting. Other symptoms can include swelling in the gum area surrounding the affected dental pulp and a bad taste in your mouth as a result of pus draining from the root tip. At V Care Dental, we know how stressful it can be to visit a dentist. Anxieties are often compounded by the seriousness of your situation and the urgency of administering treatment. Fortunately, you can trust us to treat you with kindness and patience. Our root canal dentist will listen to your concerns, ease your fears, and help you feel comfortable throughout the experience. V Care Dental is a leading choice for affordable root canal treatment. Get in touch with our root canal specialist today for more information and further assistance. Give us a call on (03) 9783 2747 or (03) 9772 7175, or send us a message via our simple online enquiry form.